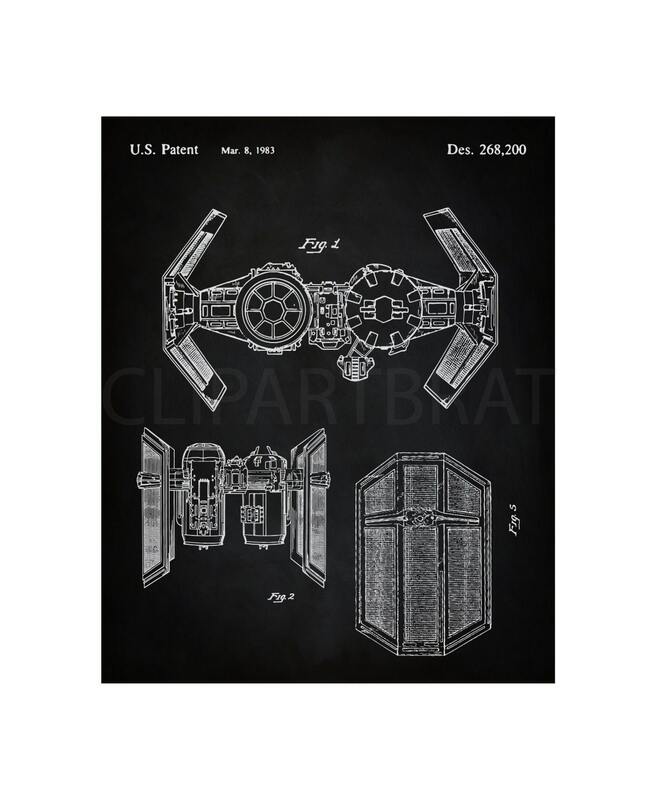 VINTAGE 1983 STAR WARS Tie Fighter Patent Print Instant Download ~ This is a design of the STAR WARS TIE FIGHTER Patent Print The United States Patent Office issued the patent on March 8, 1983. All my patent prints have been restored & enhanced to remove flaws while maintaining the integrity of the original document. 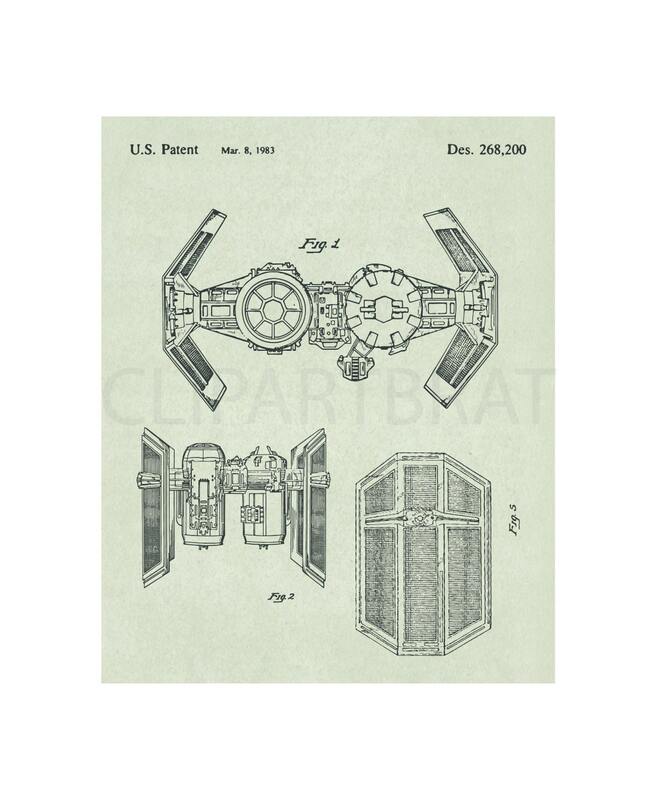 Patent prints are a great way to collect a piece of our history as well as show off your favorite items, inventions, products and artwork in your home or anywhere. Artwork Size is 8x10 inches 300 dpi. But this is a high quality image and can be sized up or down as needed. PURCHASE IS FOR ALL 3 COLORS SHOWN ~ Minty Green, Sepia Tone, and Chalkboard!! Check all photos in listing to see color variations!! YOU WILL RECEIVE A JPG FILE INSTANT DOWNLOAD, FOR EACH COLOR ~TO PRINT OR USE THE IMAGE FROM HOME OR A PRINTING SHOP. YOU MAY NOT share, resell or redistribute the actual products, ie: Graphic image/paper pack collections. All other use are Ok.